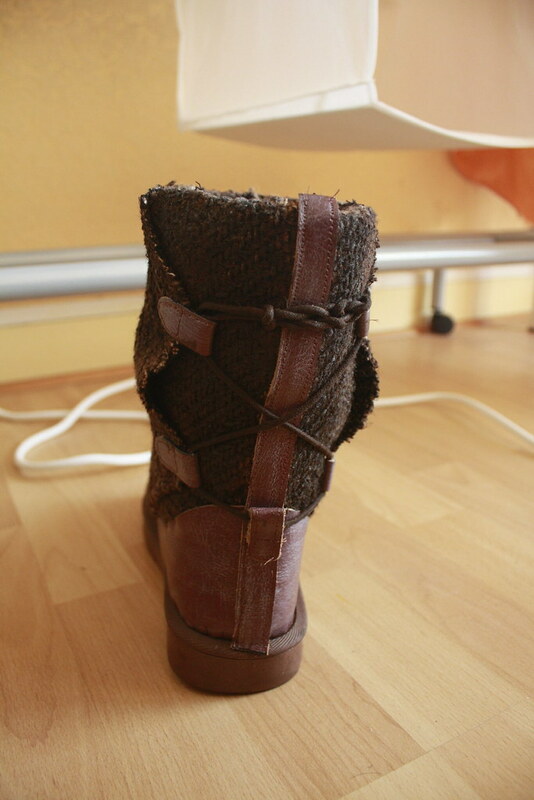 Judges ask me to do a tutorial of how I made my boots. My costume has been accepted and I'm glad to help. - I colored my fabric and the leather with a little bit of white wax to make this "old" aspect. 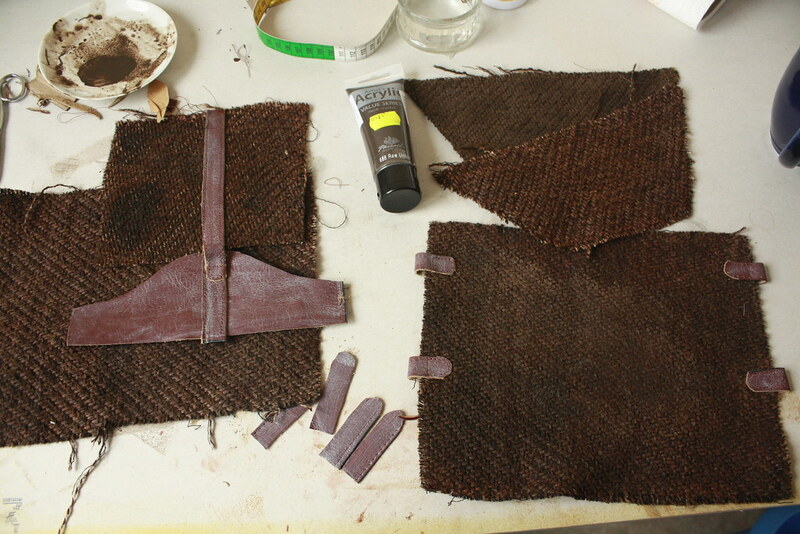 - I cut the differents pieces of fabric and leather as you can see on the second photo. 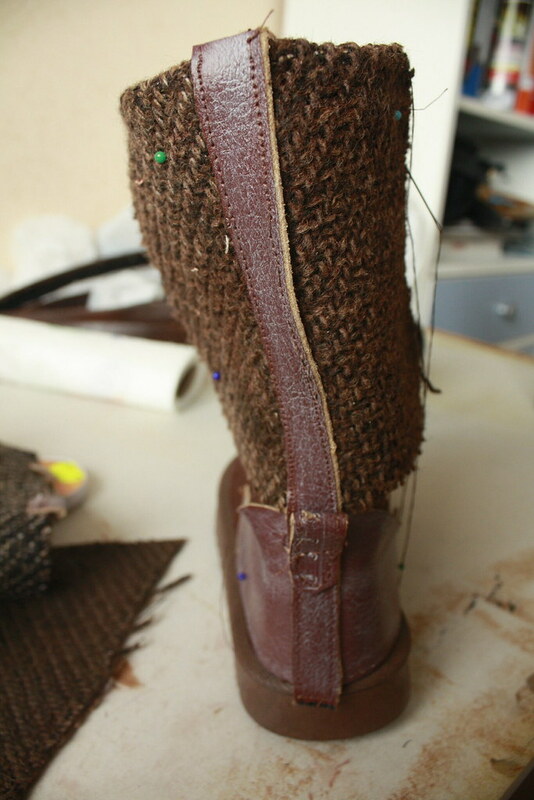 It tooks me one day to sew everything and especially the leather parts which are very hard to sew. I finally put the lace ans that's the result ! This is great. This is exactly what I was planning to do with mine. Thanks so much for doing this for all the Rey's out there that can't afford to buy the boots from the UK. Posted: Tue May 03, 2016 4:25 pm Post subject: Fabric? 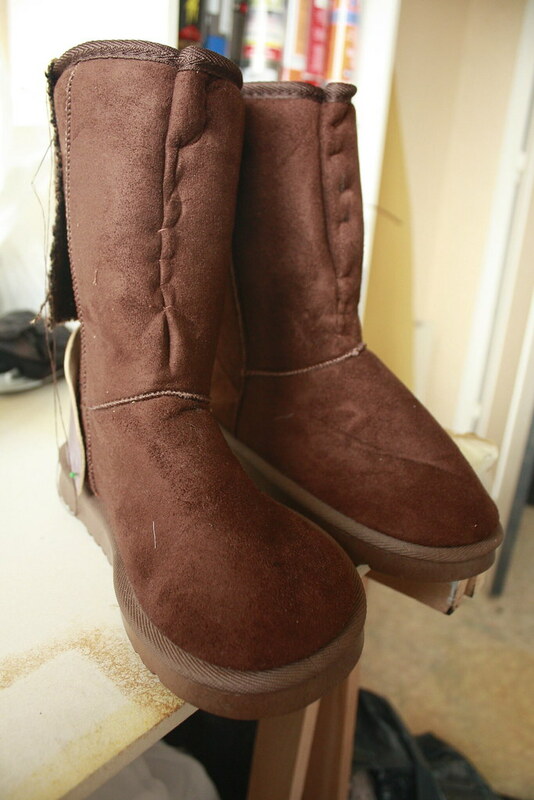 The fabric looks a bit unusual, how necessary is it to get a fabric that looks like it matches the po-zu boots, and if it is necessary, are there any online stores that might sell this kind of fabric if Joann doesn't have it? Thanks so much for the tutorial, I finally convinced myself to drop the money on the po-zu shoes, but now they're sold out again and I don't have time to wait before my next con. Posted: Wed May 04, 2016 6:25 pm Post subject: Re: Fabric? It should be close in texture and weave. I found my fabric in an upholstery section of an outlet fabric store here in AZ called SAS. Not sure if they sell online or not. Posted: Wed May 04, 2016 6:44 pm Post subject: Re: Fabric? Thanks, I'll see what I can find. Any idea about how much fabric I might need? I bought a little over 2 yards. After washing it shrank a bit (which helped the texture) but I am pretty sure there will be enough. Posted: Thu May 12, 2016 12:57 am Post subject: Fabric? 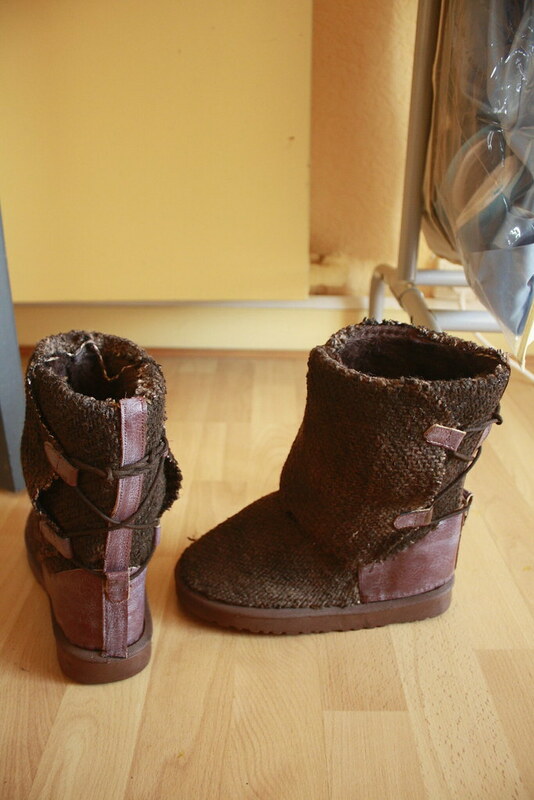 So I was originally planning on using a gray cotton weave fabric that I have and dyeing it brown, but upon looking closely at the po-zu shoes, I almost think that a suede or felt fabric would work well too, since the fabric used looks more fuzzy than having a clear weave to it, not sure if that makes sense, but I can't think of a good way to describe it. 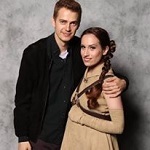 I happen to have some brown suede fabric, what do you think of using that? Please let me know if there is a better place for me to post these questions, I personally think that it is helpful to post here for others doing the same, but I am also new to the forums and will gladly post elsewhere if appropriate . How do I upload a pic here? Posted: Mon Oct 03, 2016 2:49 am Post subject: Re: Fabric? The best place to post a question is in the Rebel Supporters forum itself as a new topic. For your Subject line you can state WIP - Rey, or Question on Rey, etc. be sure you are using the direct link for photobucket and for the others, click to make the photo fullsize then copy and paste the address for that photo.